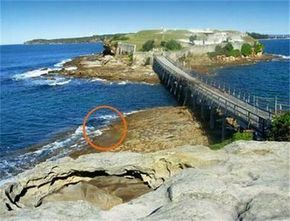 Site The eastern side of Bare Island generally boasts superior visibility and its shallower depths make it more suitable for beginner divers. 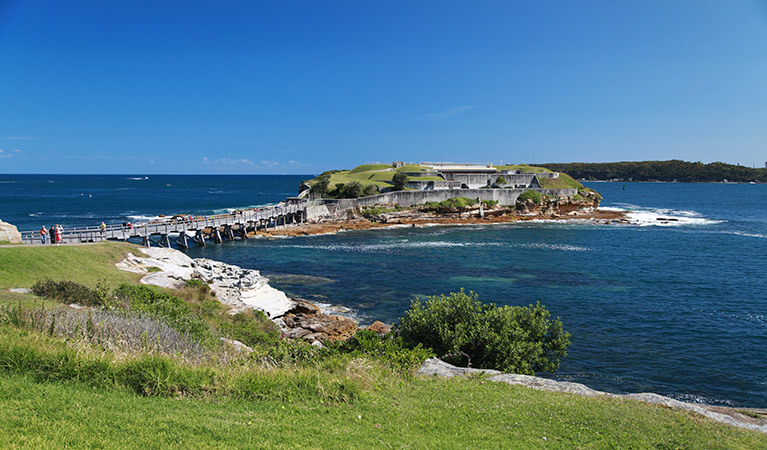 Bare Island is arguably Sydney's most popular dive site, by both individuals and schools alike. 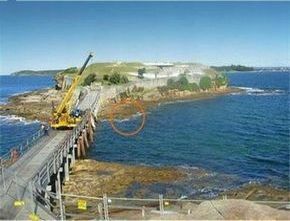 Located in at the end of Anzac Parade (La Perouse), at the northern end of Botany Bay,. Park as close to the Islands walkway as possible, in summer it is sometimes hard to get a parking spot, so it is recommended that you get there early. Constructed during the Crimean War, the location was immortalised in the marvellously forgettable Mission Impossible 2, as the Virus Factory. 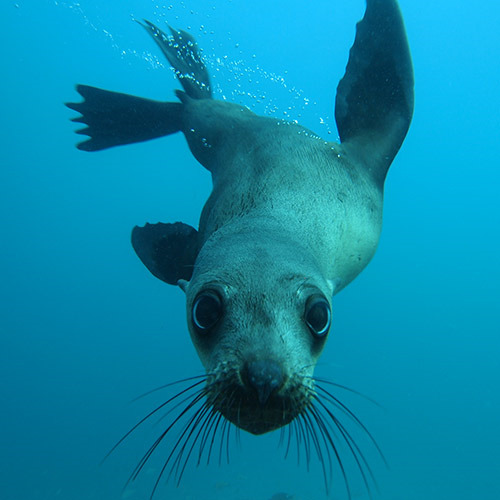 The eastern side of Bare Island generally boasts superior visibility and its shallower depths make it more suitable for beginner divers. The visibility on the right (western) side of the island tends not to be as good as the left but makes up for this with an abundance of aquatic life. The more experienced can attempt to circumnavigate the entire island or enter on the far side to explore the deeper waters of the southwestern side. Beginners generally enter at the boat ramp on the island to the right of the bridge, or directly below the "World's Largest Bottle Opener", to the left of the bridge on the mainland, depending on conditions. The most popular entry point is on the mainland side. Just before the start of the bridge is a pathway that leads off to the left, it's a rocky path and you must be careful when walking along here. The actual entry point is a squarish cut-out in the rocks (see photo). Exiting is easiest in this square cut-out area mentioned above. To the right (west) of the bridge on the island side is a ramp carved into the bedrock which makes for a popular entry point when diving the western side. The Eastern side is usually diveable unless a big southerly (southeasterly) swell is running. 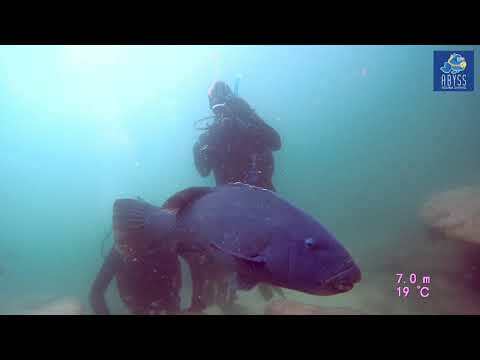 Bare Island is a good dive site due to its flexibility - if one side of the Island is too rough then the other side is usually diveable. The dives here are also great night dives. Usually, visibility is better on the eastern side of the island, as it is closer to the open ocean. Navigation on this side of the island is pretty easy, as the reef runs basically north-south. Following the main reef on the way out you swim in a southerly direction on the way back in a northerly direction. There are a few little overhangs, so a torch is a good idea. In regards to the western side, you can hug the main reef, which is a rocky wall which gradually turns around the western side of the island. Here there are overhangs and if you follow it around far enough, you will obtain about 18m. In winter, myriad Port Jackson sharks can be found on this dive.